October 10, 2013 – Las Vegas, Nevada – LiDAR Services, LLC, Las Vegas, Nevada, the wholly owned US subsidiary of LiDAR Services International, Calgary, Alberta, is mobilizing to commence work on a contract for aerial LiDAR surveys of existing transmission lines for thermal rating, NERC compliance and vegetation management for a large electrical utility. The award was with an engineering company for a NERC compliance LiDAR survey for a utility in the northeast part of the USA. LiDAR Services will perform the airborne and ground survey services utilizing a Bell 206B helicopter platform for the survey of 850 miles of 69 to 345 kV existing transmission lines to provide PLS-CADD Models, Imagery, Thermal Rating and Vegetation Management deliverables. On March 21, 2013, the Federal Energy Regulatory Commission (FERC) approved Reliability Standard FAC-003-2, submitted by NERC which goes into effect in July 2014. Reliability Standard FAC-003-2 has a number of features that make it an improvement over the Version 1 standard. For the first time, FAC-003-2 requires transmission owners to annually inspect all transmission lines subject to the standard and to complete 100 percent of their annual vegetation work plan. LiDAR Services’ airborne LiDAR/Imaging systems have been providing many different mapping and data collection services for the electrical utility industry, from preliminary route mapping, environmental evaluation, and vegetation management to as-built transmission line facilities since 2002. The mapping for each of these project styles has unique requirements, analysis and deliverables. They are addressed by LIDAR Services in-house expertise to develop proprietary solutions to provide one stop project services from data collection and analysis through to transmission line re-rating, thermal rating and vegetation analysis. LiDAR Services, LLC., announces the completion of field data collection on a 1145 mile transmission line thermal rating program in the USA. The LiDAR survey was conducted to verify that the transmission lines physical condition is consistent with current operations to satisfy NERC Line Rating requirements. LiDAR Services, LLC teamed with a large US based consulting engineering firm for contract award. The total 1145 mile project consisted of 465 miles of an existing 250 kV HV DC line and approximately 690 miles of existing 115 kV and 230 kV AC transmission lines. LiDAR Services LLC., used the MATRIX LiDAR system a proprietary airborne system designed and built by LiDAR Services International (LSI) located in Calgary Canada. 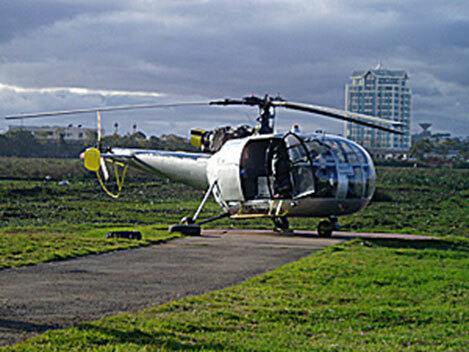 The MATRIX LiDAR system was installed in a Bell 206B3 helicopter. Data collection besides LiDAR data included downward imagery, forward digital video, forward high resolution individual tower photos, as well as real time MET (meteorological) readings taken along the transmission line corridors. LiDAR Services LLC., is a wholly owned subsidiary of LiDAR Services International Inc. LLC is a registered Nevada airborne LiDAR service company. Based in Calgary Alberta, LSI is a highly experienced LiDAR service company offering LiDAR mapping and digital imagery data collection services for a wide variety of industries. LSI has completed LiDAR projects throughout North, Central and South America, and in Malaysia, Indonesia and Africa. LSI has flown over 50,000 km of existing transmission lines for thermal rating and vegetation management applications. LSI is a privately owned company with a staff of 22 highly qualified team members. As a result of the aggressive time-line for the NERC FAC-008 mandate and to fulfill the precise, exacting facility and thermal rating analysis needs of electric engineering firms and electric transmission companies, LiDAR Services International (LSI) Calgary, Alberta established their wholly-owned subsidiary, LiDAR Service, LLC., in Las Vegas, NV., on July 28, 2011, and are pleased to announce the completion of 1,065 miles of a NERC related LiDAR and imagery survey for a major electrical engineering consulting firm. The contract to perform the airborne LiDAR data collection and processing was awarded to LiDAR Services, LLC, Las Vegas, Nevada based on cost effective pricing as well as the company’s extensive experience in collecting LiDAR over transmission lines not only in North America but in Central America, Asia and Africa. The 1,065 miles of NERC related LiDAR and imagery survey was comprised of two projects. The initial project was for an accurate as-built survey and development of PLS-CADD models using LiDAR technology on a 250kV DC transmission line that crossed two states – North Dakota and Minnesota and was 465 miles in length. The second project the LiDAR Services, LLC team completed was the survey of 600 miles of 115kV and 230kV circuit AC lines located in NE Minnesota. For both projects, field collected LiDAR data was collected on time and on budget. A comprehensive processing and data delivery schedule was agreed to by all parties for required deliverables. LiDAR Services, LLC employed their proprietary MATRIX LiDAR system for both projects. Besides collecting all LiDAR components, downward and forward high resolution digital imagery was captured as well as high resolution forward digital video. A laser point density of 25 points/m2 was maintained over the entire project, a 21 megapixel camera collected individual tower pictures during the LiDAR survey, and orthorectified imagery was delivered with 6 inch pixel resolution. “LiDAR Services, LLC is very pleased to obtain this contract for services from a leading USA engineering consulting firm experienced in all aspects of integrating LiDAR with PLS-CADD software,” said Tony Tubman, LiDAR Services, LLC Manager. “Both companies contributed their individual expertise to the contract award and this very successful approach will be used by LiDAR Services LLC, as we expand our business operations in the USA”. August 8, 2012 – Las Vegas, Nevada – LiDAR Services, LLC, Las Vegas, Nevada, the wholly owned US subsidiary of LiDAR Services International, Calgary, Alberta, has been awarded a major contract for wide-area airborne LiDAR mapping in South Dakota adjacent to the Mount Rushmore National Park. The LiDAR survey is scheduled to be flown summer 2012. LiDAR Services, LLC is a global leader in airborne LiDAR services, performing engineering level LiDAR surveys across the globe from the high-Arctic to the jungles of Borneo. LiDAR Services, LLC operates two helicopter-based LiDAR systems and one fixed-wing system. What differentiates LiDAR Services, LLC from other mapping companies is their single-minded commitment to their client’s project, their unequalled experience, knowledge, technical expertise, innovation and customized survey solutions and services. For more information contact Dan Phillips at 888-870-9972, dan.phillips@lidarservices.com. July 17, 2012 – Las Vegas, Nevada – LiDAR Services, LLC, Las Vegas, Nevada, the wholly owned US subsidiary of LiDAR Services International, Calgary, Alberta, has been awarded a major contract for aerial LiDAR surveys of 1300 miles of existing transmission lines for thermal rating and NERC compliance in north central USA for a large electrical utility. Many long-term, large-budget projects such as mining operations would realize tremendous cost benefits and improved efficiency and safety from Project Lifecycle Surveys. Based on the concept that the completion of high-accuracy surveying and mapping at the initial stages of a project and utilized throughout the entire project lifecycle, leverages costs and benefits from superior, comprehensive survey information throughout the project lifecycle. The availability of common data from project inception permits better planning and stage evolution. The cost of surveying and mapping experienced through various stages of a mining project lifecycle: planning, engineering, construction, maintenance and ultimately project area remediation on shut down, can be greatly reduced by efficient use of survey services extending beyond individual phase requirements. The use of a common database reduces the possibilities of data discrepancies and errors due to different mapping standards, datum parameters and collection techniques. The project mapping database incorporates standards that address the highest quality required for all stages of development and related disciplines using the data. The second benefit is a recognized reduced cost. These cost reductions are evident in vendor RFP responses due to risk reduction by way of more and better bid information available for subsequent phase requirements. The cost reduction also extends into the subsequent phases by leveraging the preceding phases base map data and only acquiring new or differential data in the areas in which change is expected or concerned. A tertiary benefit is improved overall timeline for the subsequent phase planning and implementation. If base map data is acquired at an accuracy and coverage level conducive to meet the highest phase, this planning for the phase can happen well in advance of the actual sequential timeline typically implemented in a project’s lifecycle. There will be cost reductions associated with the elimination of redundant surveying and mapping services for each phase of the project. When developing a site, it is not uncommon for survey crews to be sent out multiple times to determine and survey preferred routes for roads, pipelines, drill sites and other infrastructure…this can easily lead to multiple surveys for a particular road or pipeline and there are numerous occasions for these surveys throughout a project lifespan. These surveys can add up to tremendous costs …not to mention the risks of sending crews out to hazardous, severe environments. The utilization of a comprehensive, detailed, accurate survey using airborne LiDAR and ortho photos provides an accurate, detailed base-map from which all preconstruction design and engineering can be done in the office by computer using CAD and GIS software. Lifecycle Surveys eliminate redundant, expensive surveys, improve safety by sending fewer crews onsite to survey treacherous and inaccessible terrain, and improve decision making by utilizing the best, most accurate data for the project area. The coordinated data set will also eliminate costly remediation tasks experienced in survey discrepancies between project stage transfers. Ideally, Lifecycle Surveys are initiated prior to project planning and engineering. It involves the establishment of high-accuracy survey control networks, which would be coordinated with the local government survey authority (where available) and would also incorporate data tie-in aspects with the local cadastral database or information on land ownership and usage. This network would provide the fundamental survey control for the entire project and would be established in such a manner to provide stable and confident reliability and accuracy so as to promote future project area expansion, internal densification and re-establishment of disturbed points. These networks provide the terrestrial tie points used in all other surveying and mapping procedures. The next phase of the database would be to establish high-confidence DTM surface models and AM/FM feature models for the area using a technology appropriate for the project criteria. These mapping efforts may be implemented in a staged approach, as the requirements for mapping will likely be stage dependent. This approach also lends itself to maximize the usability of the data and the current technology for the project. All surveying and mapping efforts are coordinated using a unified database, thus access, distribution and database updates can be easily implemented. Aerial LiDAR surveys have proven to be a valuable, critical element for Lifecycle Surveys. Aerial LiDAR is accepted as the most efficient and cost-effective means to create accurate digital elevation, terrain and topographic surveys. The latest LiDAR technology is able to create very accurate 3D point clouds from which final deliverables are extracted such as contours, Digital Terrain Models (DTM), Digital Elevation Models (DEM), topographic features, planimetrics, 3D facility models, as-built drawings and detailed, accurate volumetric data. Mining projects have taken LiDAR Services International (LSI), Calgary Alberta; and LiDAR Services, LLC, Las Vegas Nevada to three continents and a wide range of environments, from the boreal forest and plains of Canada to the jungles of Borneo and Madagascar. LSI designs and manufactures their own proprietary LiDAR systems and has produced 6 generations of airborne sensors over the past 25 years. During the evolution of LiDAR systems, LSI has developed a modular approach in both the software and hardware sensor integration which easily facilitates the customization of the system into an integrated set of sensors applicable to their clients’ project requirements and budgets. LSI’s latest generation of LiDAR systems is called MATRIX and supports a variety of inertial sensors, scanning lasers, GPS receivers/antennas, and digital frame/digital video cameras. These sensors are mounted on Canadian DOT STC and US FAA STA approved installation kits for the Bell 206B and 206L helicopters and Cessna 185F and Partenavia P68 aircraft. LSI typically installs in locally chartered aircraft to minimize mobilization costs and ferry time. 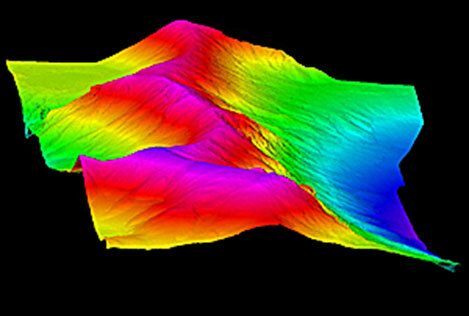 Traditionally, LSI’s mining surveys have involved typical DTM and volumetric mapping, but recently they have performed time-sequenced topographic modeling to facilitate subsidence monitoring, and precision slope determination for ore slurry pipeline engineering. LSI is committed to the technological advancements of LiDAR and remote sensing integration. The recent addition of the latest waveform scanning technology is a testament to the leading edge position LSI maintains in the LiDAR industry. Many of their projects also implement ortho-mosaic imagery to assist in engineering analysis of the project areas. The Ambatovy Nickel mine in eastern Madagascar for Dynatec Corporation was a particularly challenging mining project. LSI was contracted by Dynatec Corporation to provide surveying and mapping services to support the route planning and development of a nickel mine in Madagascar. 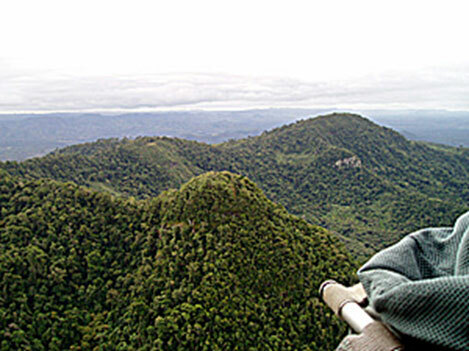 Because much of the project area was located in remote mountainous jungle, the project required the establishment of a GPS control network in order to provide an accurate DEM and 15cm orthophotography for the entire project area. The rugged terrain, dense vegetation, and weather patterns presented a unique challenge to the LSI survey team. The MATRIX LiDAR system installed in a local helicopter was able to fly below the clouds and collect data when other high altitude fixed wing LiDAR systems would have been waiting for better weather. LSI delivered a bare earth and full feature DEM, high resolution orthophotography, and contours for the proposed mine site, ore processing plant site, and connecting slurry pipeline route. The area covers approximately 300km2 and hundreds of kilometers of pipeline route over difficult terrain varying from mountainous jungle to coastal flood-plain. The data is being used to locate sites for facilities, select pipeline routes, and minimize and evaluate environmental impacts. The pipeline route surveying was of key concern as the undulating, densely-forested, upland terrain made traditional surveying techniques nearly impossible from an access and accuracy perspective. The critical nature of this was the pipeline slope gradient. High-density, highly accurate LiDAR point-clouds provide rich survey data for detailed designs for open-pit slopes, waste dumps, rock piles, earth dam structures, slope stability assessments and provides valuable survey information for the design of earth structures, mine waste management, monitoring programs, mine closure planning, and tailings management. Remote sensing data can also be used for construction material suitability studies, optimizing the use of mine waste for construction. The time, effort and expense involved in surveying and mapping requirements of most large-scale projects is high and downstream effects may be costly. The unification of these actions into a single continual, controllable phase will reduce cost, effort and errors. These factors make it an appealing alternative to individual survey and mapping contracting. Additionally, access to highly accurate, detailed LiDAR and orthophoto data provides superior information and situational awareness that can materially impact operational and safety benefits to all aspects of mining operations. About LiDAR Services International Inc.
LiDAR Services International (LSI) is a leader in airborne LiDAR services, performing engineering level LiDAR surveys across the globe from the high-Arctic to the jungles of Borneo, operating two helicopter-based LiDAR systems and one fixed-wing system. LSI recently opened their US subsidiary, LiDAR Services, LLC located in Las Vegas, Nevada. LSI celebrates 10 years of operations in 2012 and has provided specialized expertise in collecting high-density, highly accurate LiDAR and imagery data for mining, forestry, oil, gas, pipeline, engineering and electric transmission customers. What differentiates LSI from other mapping companies is their single-minded commitment to their client’s project, their unequalled experience, knowledge, technical expertise, innovation and customized service ensures their client’s complete satisfaction on every project.